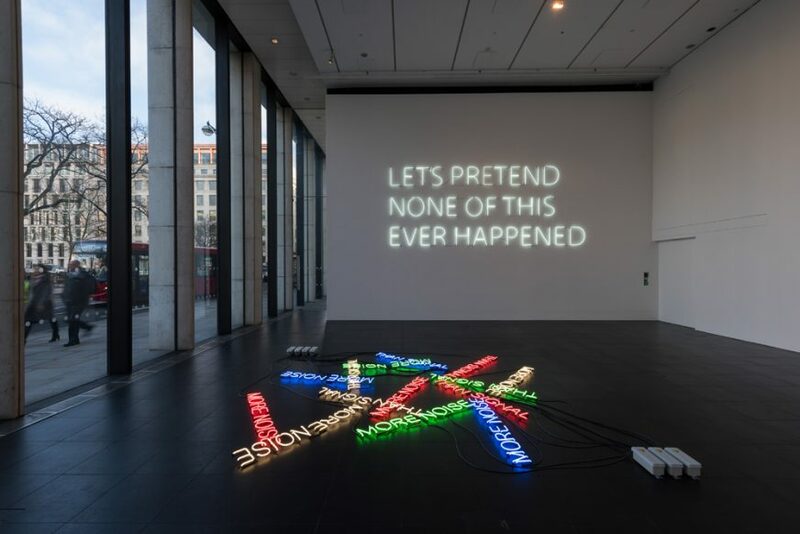 In this work, as in many other of the neon and text pieces, Etchells uses language to instigate a kind of private, interior performance or thought-experiment in the viewer. 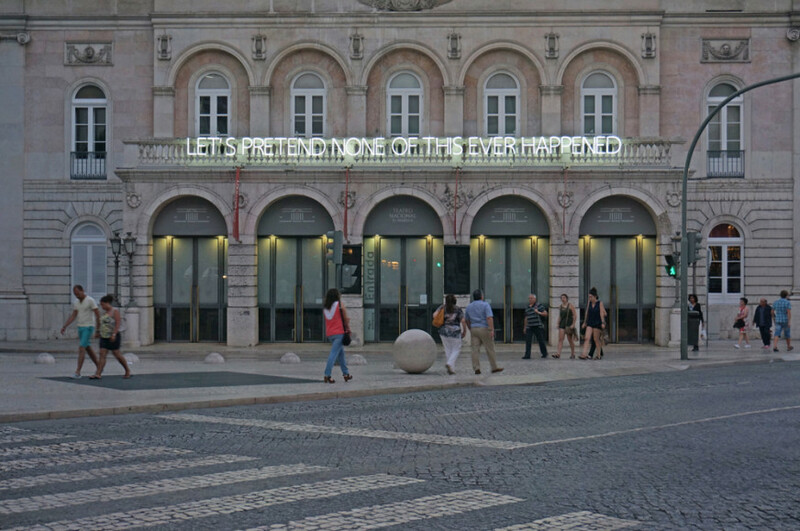 The simple phrase spelt out in the sign – ‘Let’s Pretend None of this Ever Happened’ – proposes an act of shared denial or deliberate and public forgetting. 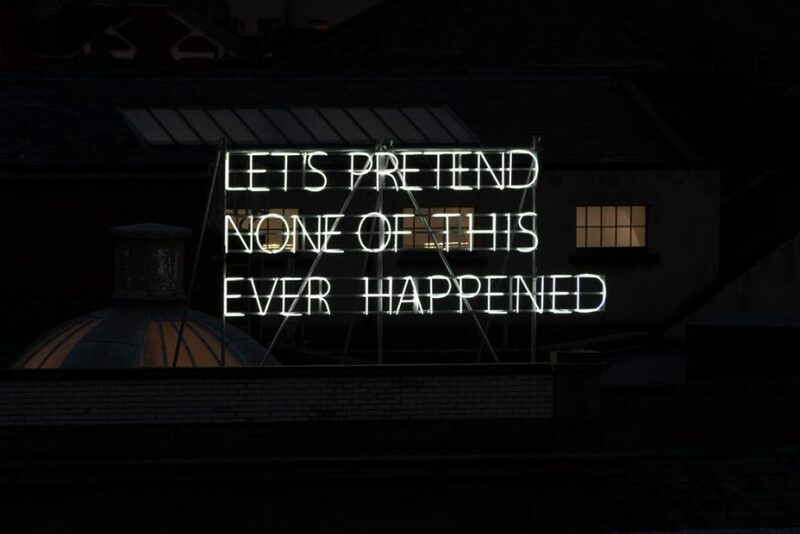 The ‘this’ referred to however – the situation, event or encounter that we are invited to forget – can’t be fully inferred or understood from the information supplied. In the playful but at the same time serious speculation that follows it’s unclear if we are being asked to forget the particular moment of our looking at the work, or if we’re asked to remove from memory the building, neighbourhood, city or even era in which the art work is installed. In the end, even the viewer’s encounter with the work is threatened with the possibility of erasure. 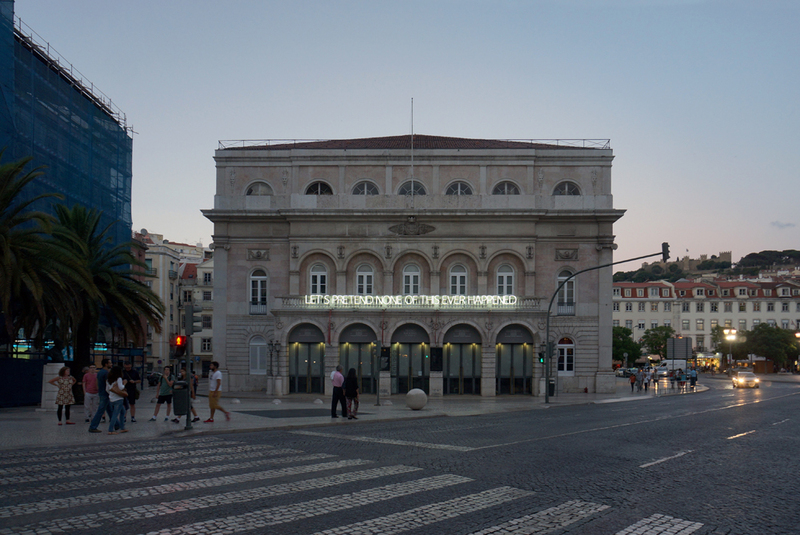 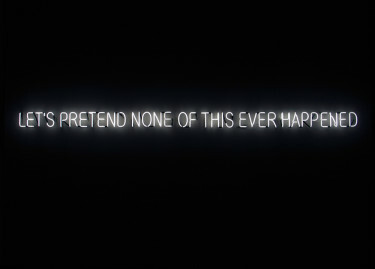 In 2008, as part of the first body of neon work he produced, Etchells created a much smaller neon consisting of the same phrase in a different typeface. 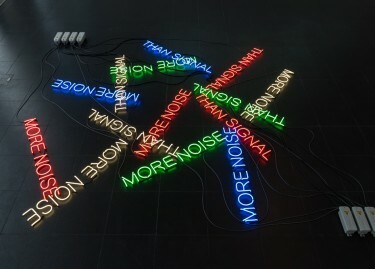 Etchells’ neon and LED pieces often draw on his broader fascinations as an artist, writer and performance maker, exploring contradictory aspects of language – the speed, clarity and vividness with which it communicates narrative, image and ideas, and at the same time its amazing propensity to create a rich field of uncertainty and ambiguity. 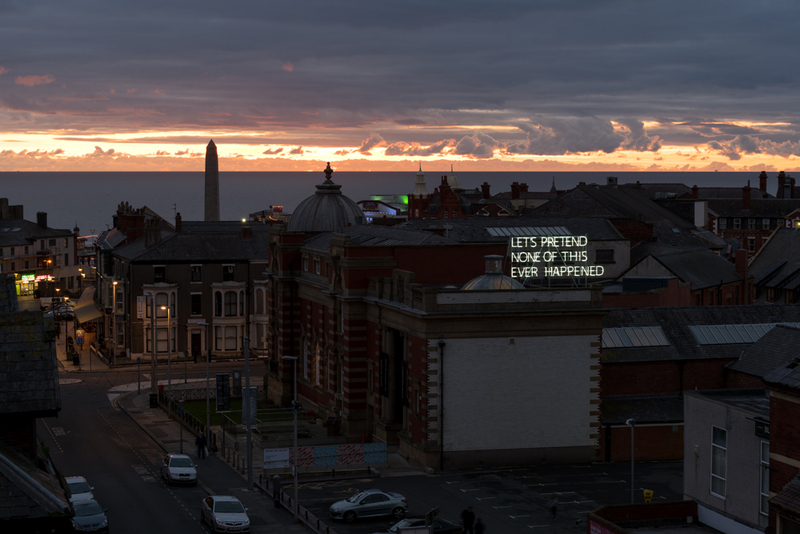 Through simple phrases spelt out in neon, LED and other media, Etchells strives to create miniature narratives, moments of confusion, awkwardness, reflection and intimacy in public and gallery settings. 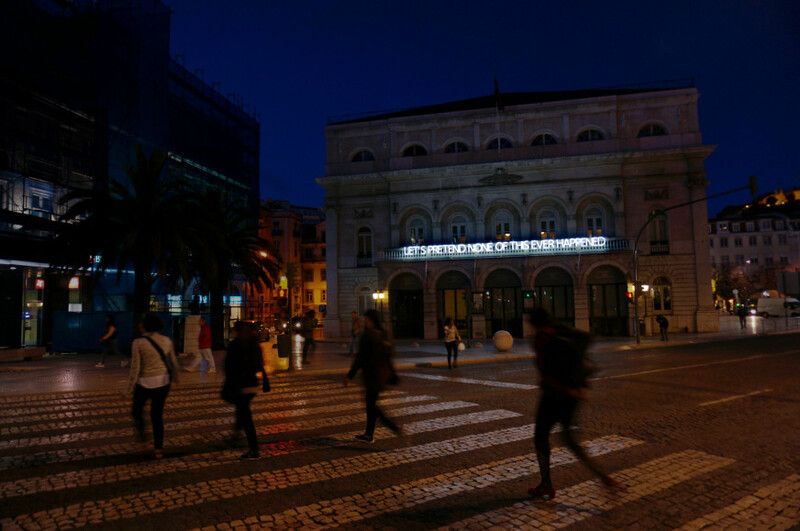 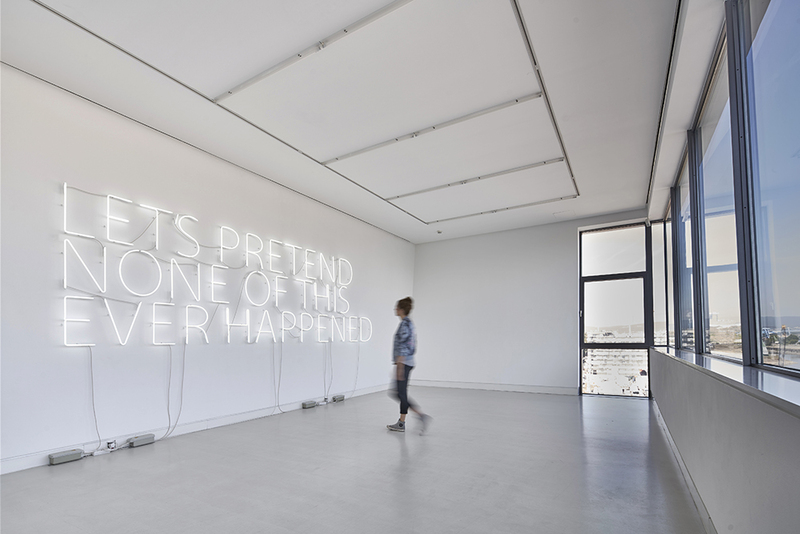 Encountering the neon sign works, in the streets of a city or in the space of a white cube gallery, the viewer becomes implicated in a situation that’s not fully revealed, or a linguistic formulation that generates confusion or ambiguity. 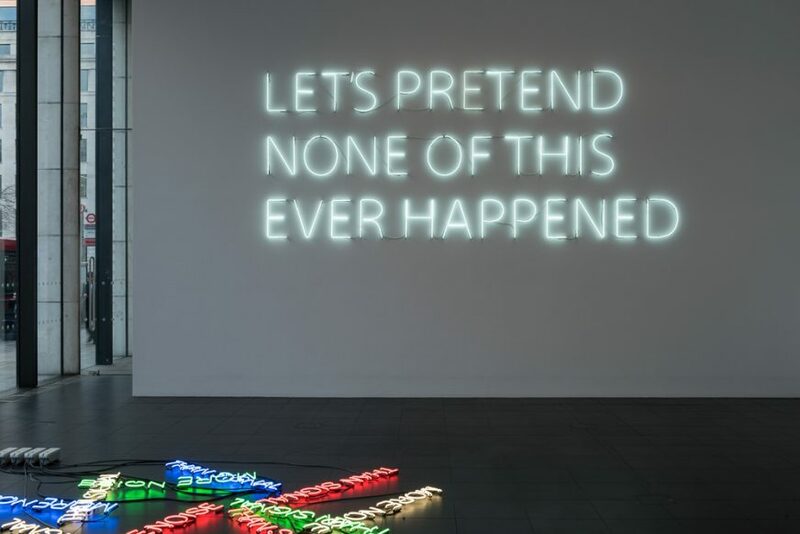 As often in Etchells’ work, in the neons the missing parts of the picture are as important as the elements that are present. 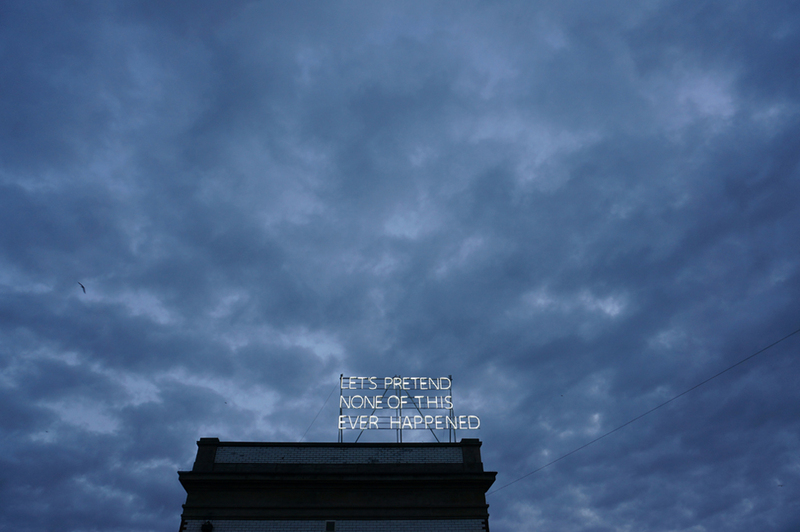 Invoking a story, or projecting an idea out-of-context, the work invites us in, but into what exactly we can’t be sure.